Starting over: Kids say, "Date my Dad!" As Tim Keeling prepares for a special night out, the solo dad is calming his nerves by keeping busy with everyday daddy duties. 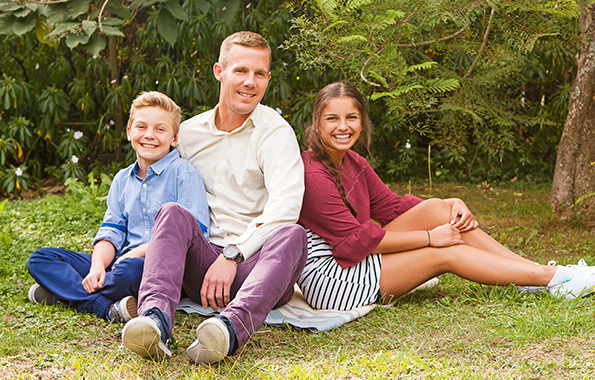 While the Auckland tourism manager dishes out afternoon snacks for his two children, Hope (13) and Tom (10), they remind the 32-year-old of the qualities a woman needs to possess in order to become his girlfriend. "She must like cats," Hope asserts. "And watermelons," Tom adds, before both agree, "She can't steal your money." The children have been anticipating Tim's big day ever since they convinced him to put his name forward for the Classic Hits radio station's Date My Dad competition last month. "Everything happened so quickly. We sent in our names, I had a beer with the producers and before we knew it, the kids and I were on the radio, looking for my date," says Tim. Tim admits he's normally a private person and although he has been on dates before, both online and through friends, opening his life and heart to the public to find that special someone was a huge decision. "This was a chance to do something different," says Tim, who has been separated from the children's mother for four years and has shared custody. "I want to show that solo dads can have a good relationship with their kids, a great social life and a wonderful career." Tim became a father in his teens and says being a younger dad has many benefits. "You can partake in parent running races and beat all the older dads," he laughs. Tim's two children want to see their father happy and hope he finds love again. "They haven't been shy about telling me what they want and don't want. At the end of the day, it has to work for my family. My kids are always at the top of my priority list and everything has to fit around that." The last month has been a whirlwind for the family, with numerous appearances on the Classic Hits morning show and pre-date preparations for Tim, including a style makeover. He was then sent on a group outing with five single and enthusiastic women, all chosen by the eligible bachelor. But he only had eyes for one lucky lady – insurance worker Natasha Tennent (30), whom he selected for a one-on-one date. "Natasha doesn't have any children, which I'm happy with. For most of my grown-up life I've always had kids around. It would be nice to have an adult relationship with someone who hasn't had that experience." The nervous couple were picked up by a limousine and driven to upmarket Auckland restaurant, The French Cafe. "It was good to finally have the chance to chat and get to know each other. Natasha is the whole package. She's gorgeous, smart, articulate and genuine." Natasha, who was cMaxed by her workmates to put her name forward, confirms there was a mutual attraction. "I liked the Tim I discovered," she says, adding that she was interested to hear about Tim's pride and joy – his kids. "I love that he's a devoted dad. It shows a lot of great characteristics in a person – that they are responsible and have great humility." 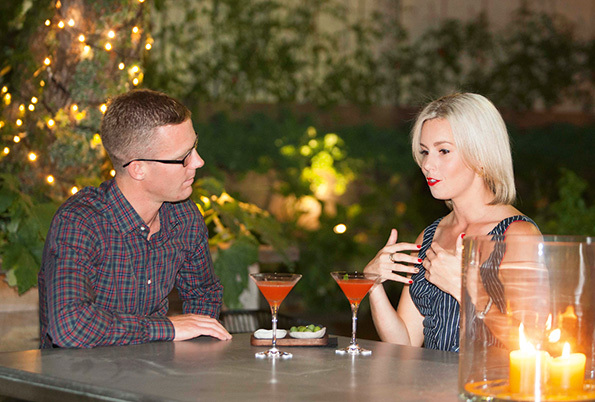 Natasha confides that the night ended with a kiss – "on the cheek," she reveals – with the couple confirming they'll definitely go on another date. Although Tom and Hope are dying to meet the woman they helped choose for their dad, Tim wants to protect them and will introduce Natasha when, and if, there's a true connection. "It's got to be the right person and the right time, so I'm not in a rush for the kids to meet her yet. Hopefully they'll get a chance down the track." For now, the children only have photos taken at the date to see their dad's potential girlfriend – and she's already been given the seal of approval. "Hope told me that Natasha seems nice," Tim explains. "And that she had really nice shoes."